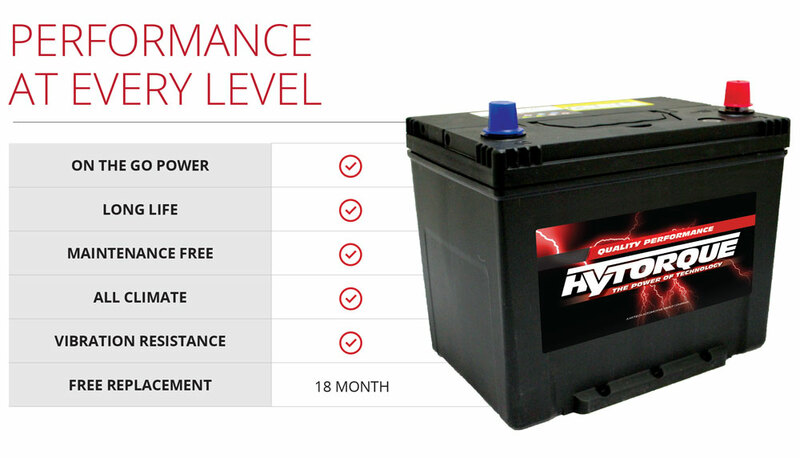 Hytec Automotive Inc., through exclusive alliances produces HyTorque, new generation starter batteries with a production capacity of more than 4 million units per year. Our manufacturing facilities are equipped with the latest engineering technologies available. Closed cycle production includes all production stages of lead plates, mono blocks and up final battery forming. 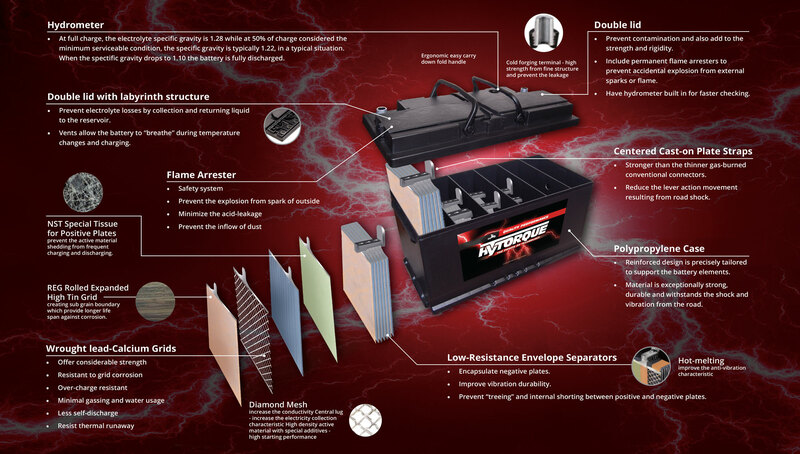 Starting capacities of HyTorque Automotive accumulator batteries, manufactured in compliance with Ca/Ca leading technology, are ranked at the top of their class. Calcium addition into positive and negative electrodes prevents water excessive boiling up, resulting in improved reliability and durability with 1.5 times increase in service life. For Premium Class HyTorque batteries, special additives for active material are used, the additives being the main expertise of the company. These additives used jointly with more expensive and pure quality materials and components, literally improve overall technical characteristics of these batteries as compared with the standard class Quality HyTorque batteries.